Tuesday is not usually my favorite day. But today was not bad as Tuesdays go. I wasn’t too stressed out and I actually got to scrap! I’m going to make this a short post. I am so tired I can’t seem to type straight. First…the obligatory mountain shot. I think this is becoming a ‘thing’ for me. LOL! 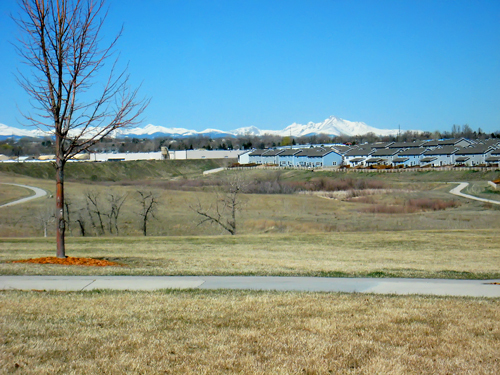 This is the view from the park down the street. I get this view when I stop at the stop sign. 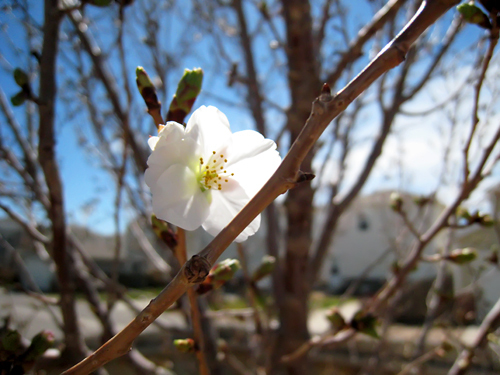 And this….this makes me a very happy girl….It’s my cherry tree….and it’s blooming!!!!! Glad to know you stopped to take the picture! 🙂 Did you put that side note in there just for my benefit? It is a beautiful picture. I will try and call this week. Love the tree and bird on your lo. Kelly said that you all split up one of those boxes. Too cute! I noticed my lilac bush blooming yesterday and my forsthia started blooming last weekend. YEAH!!!! 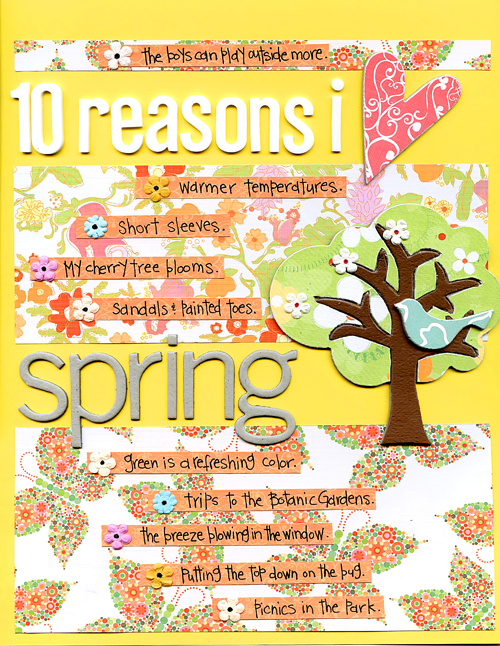 Love it here, love it on the store blog… just love it! I am more a CBX fan now than I ever was before. And, of course, I continue to be a Heather fan, as ever. and then it snows. what the? love the beautiful colors on the layout, it’s just happy. glad yesterday was a good one for you.